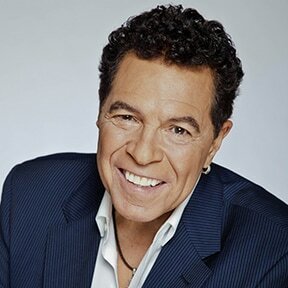 ​Mark has headlined at almost every casino and nightclub in Las Vegas and he's the recipient of numerous highly coveted entertainment and humanitarian awards! Any first time listener is likely to be struck by the quality of Mark's powerful voice. Part velvet, part gravel, and all taut emotion, it's a voice that seems ideally suited to perform the songs of the Great American Songbook. His is a voice that can be alternately rough as a sandpaper embrace or as cool as a tall glass of milk. But what audiences need to understand is the seasoning behind that remarkable voice. Decades of hard-won experience has carried this performer through several careers and across thousands of miles. But Mark realizes the audiences don't know the entire story behind the voice. What's important is the music itself. 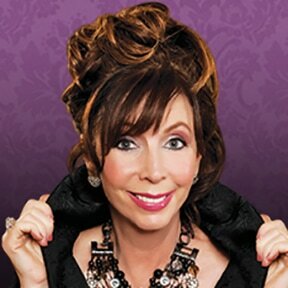 "THE BOLD NEW VOICE OF THE GREAT AMERICAN SONGBOOK!" 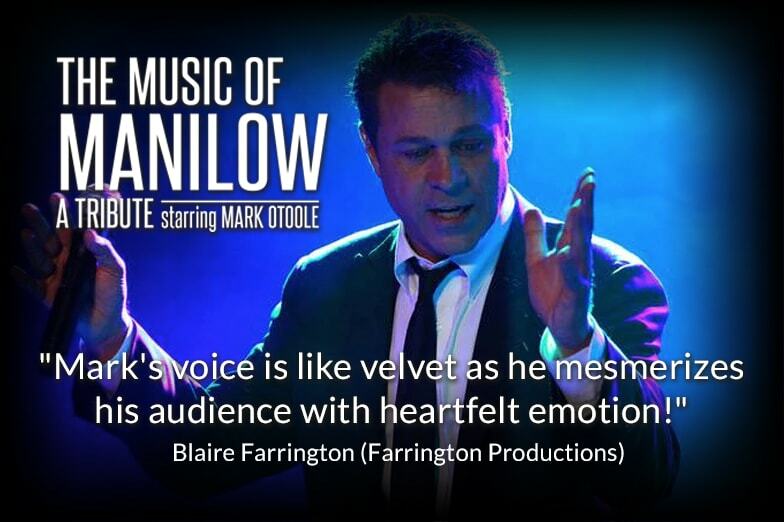 ​"Mark OToole possesses one of the most important attributes for any singer, an instantaneously recognizable voice. Like Johnny Mathis or Michael McDonald his sound is unique and wonderful. Add that to his wit and charm and you have a very special artist who I always look forward to hearing." Mark’s love of performing began early in life with leading roles in The Boston Children’s Theatre. After several years of guitar lessons, he discovered the other love of his life….Singing. He sang in the church choir five days a week and starred in many musical productions in surrounding community theaters. Mark started his first band at the age of 16, playing weddings and other events, from the worst dives to beautiful mansions. He worked for two seasons at the South Shore Music Theatre in Cohasset, MA, working with many celebrities. He carefully studied their talents and took what he thought was their best and put them into his own show. Mark’s first exposure to the national limelight came from his dead-on impression of a matronly grandmother. As a favor, he would call his friend, a DJ on WVBF-FM in Boston, and pretend to be his friend’s grandmother. As fate would have it, Jay Thomas, a regular on Cheers and Murphy Brown, heard Mark while in Boston and asked him to be a regular on his radio show in Hollywood. He was an instant hit! Mark, in character, interviewed the likes of William Shatner, Geraldo Rivera, Woody Harrelson and others. Over the next three years Mark became syndicated in over twenty major radio stations across the country and became the number one commodity in radio. Though he enjoyed his popularity, he missed his first love, singing. He hit every open mic night he could find in the L.A. area. One day while driving down highway 101 a little voice in Mark’s head said, “Go to Las Vegas.” And go he did. After moving to Las Vegas, Mark appeared on Star Search, where his rendition of Conway Twitty’s “It’s Only Make Believe” beat out a five-time winner. Judge David Foster gave him four stars. The victory and the recognition which followed from the Las Vegas establishment, including three consecutive “Best Male Vocalist” honors, proved sweet indeed. Mark and his band became one of the most highly sought after country bands in Las Vegas, playing at all of the major strip properties. As the popularity of country music on the strip began to wane, Mark and his band began to play more pop music from the 60’s, 70’s and 80’s, that he grew up with and loved. Mark then released his CD, “The Crooner.” Keith Olsen, one of the great record producers in America, having success with such artists as Fleetwood Mac, Emerson, Lake & Palmer, Kim Carnes, Eddie Money, Whitesnake, Rick Springfield, REO Speedwagon, Starship, .38 Special, Santana, and Pat Benatar to name a few, saw one of Mark’s performances and witnessed what so many of Mark’s fans have, his great singing and performing ability and signed on as Producer. Arranger Richard Baker was hired to provide a contemporary twist to the songs chosen for the album. Les Brown’s Band of Renown provided the orchestral accompaniments. The album is comprised of thirteen tracks including a previously unreleased song written by Jason Scheff, the lead singer for Chicago. Alex Ligertwood, former lead singer for the Jeff Beck Group and Santana provided the background vocals with Jason Scheff providing the background vocals for his original song. "​Great new CD! I loved it! ​Mark ALWAYS does a GREAT SHOW!" 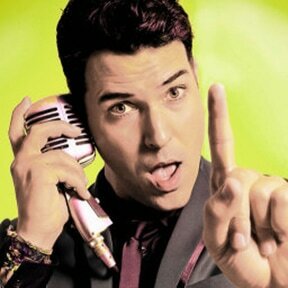 Mark was named Las Vegas 2013 Entertainer of the Year by the Entertainment Consumers’ Exchange. Prior winners include Bobby Darin, Louis Prima and The Lettermen. Mark was also named “Las Vegas Lounge Performer of the Year” in 2011, and again in 2013, and was inducted into the “Fans’ Hall of Fame” in 2014! For available dates and booking information, please contact us via the button below.